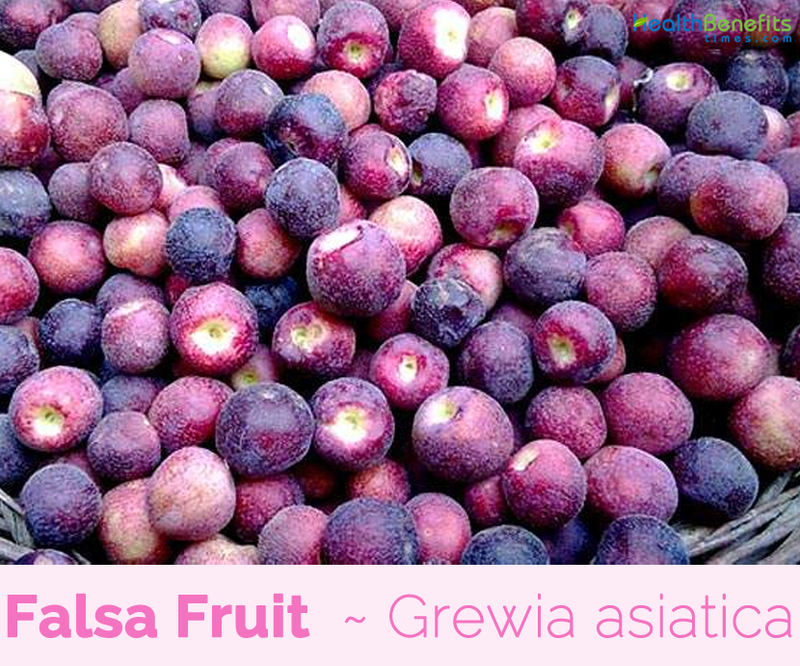 Grewia asiatica also known as Falsa Fruit, a member of tiliaceae family is a small fruit crop cultivated in warmer season and is known to contain cyanidin 3- glucoside, vitamin C, minerals. The plant is native to southern Asia from Pakistan, India east to Cambodia, and widely grown in other tropical countries. 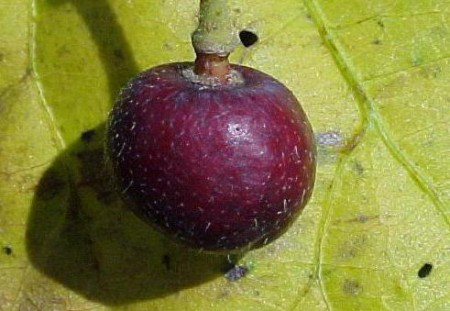 Grewia celtidifolia was firstly considered a mere variety of Phalsa, but is now recognized as a distinct species. Some of the popular common names of the plants are Grewia, Falsa, Indian Phalsa, Parsa Phalsa, Phalsa tree and Phalsa berries. The fruit is easily perishable. Syrup of the fruit is prepared, so that one can enjoy the fruits’ benefits for a longer time. People consume it as it is by adding a little salt and black pepper. It is a natural cooling agent in human body and that is why it is consumed for its cooling effect in summer. Also it has great medicinal properties. Falsa Fruit is a spreading, woody shrub or small tree that grows about 8 m tall. It can be trained both as a bush and single stemmed small tree. In South India it is evergreen. It performs better in areas with district winters. It grows well on a wide range of soil types: sandy, clayey, calcareous soils but thrives best on loamy soils from near sea level. Stems are hard and brittle and stellate and tomentose young shoots. The bark on the older stems is greyish-white or greyish-brown in color and its long and slender branches are spreading or arching in nature. The younger branches vary from being smooth and hairless (i.e. glabrous) to densely covered with star-shaped hairs (i.e. stellate tomentose). The leaves (10-18 cm long and 9-14 cm wide) are alternately arranged along the stems and are borne on short stalks (i.e. petioles) 13-15 mm long. They vary from being broadly heart-shaped (i.e. cordate) or almost rounded (i.e. orbicular) to oval (i.e. elliptic) or somewhat egg-shaped in outline (i.e. obliquely ovate). These leaves are dull green and hairless (i.e. glabrous) or roughly hairy (i.e. scabrous) above, while their undersides are usually densely and softly hairy (i.e. tomentose). Tips of the leaves are pointed or rounded (i.e. apices acute or obtuse) and the leaf margins are sharply toothed (i.e. serrate). Leaf blades have five obvious veins that spread outwards from the base (i.e. 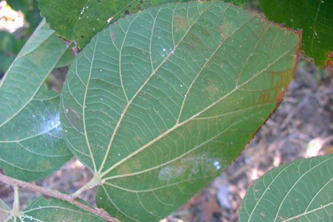 they have palmate venation), and these veins are raised on the undersides of the leaves. Small flowers are arranged in clusters in the leaf forks (i.e. in axillary fascicles), each cluster having 2-10 branches (i.e. peduncles). 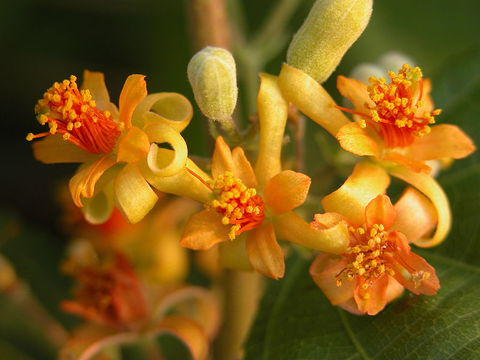 Each of the branches (1.5-5 cm long) bears three to five flowers on short stalks (i.e. pedicels) 10-15 mm long. Flowers are bright yellow, or reddish-purple, and have numerous (50-100) stamens. Each flowers also has five sepals (7-12 mm long and 2.5-5 mm wide) and five smaller petals (3-10 mm long), which are both yellow in color. Flowering occurs during winter and spring (i.e. from July to November). The small fleshy fruit (1.0 to 1.9 cm in diameter, 0.8 to 1.6 cm in vertical height, and 0.5 to 2.2 g in weight) are somewhat rounded (i.e. globular or ovoid) and look like ‘berries’ but they are actually drupes and is edible portion of plant. These fruit turn from light green to cherry red or purplish red, becoming dark purple or nearly black when fully ripened, and their skins are often covered with a thin layer of whitish powder (i.e. they are pruinose). Fruit are present from late summer through to the following spring (i.e. from March to November). The ripe fruit is soft and delicate and has a sweet and sour acidic taste. The flavor is like grapes. Falsa fruits are consumed fresh with some salt, which is added to increase palatability. 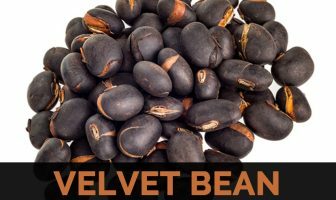 It is also used in making jams, pies, squashes and chutneys. However, it has a short shelf life and is considered suitable only for local marketing. The fruits are claimed to be beneficial for heart, blood and liver disorders, anorexia, indigestion, thirst, toxemia, stomatitis, hiccough, asthma, spermatorrhoea, fevers and diarrhea and are used for treating throat, tuberculosis and sexual debility troubles. Falsa Fruit originates in India and other parts of Southeast Asia, including Pakistan, Sri Lanka and Bangladesh. At of the early part of the 20th century, the fruit was introduced to Indonesia and the Philippines, where it has since naturalized. The Luzon province shows an abundance of the small, purple fruits in its lower elevations in dry zones. Today, it’s an exotic plant in Thailand, Vietnam, Cambodia, and Laos. Falsa fruit is considered as a great source of sodium. Well, it acts as an electrolyte and essential ion to promote the enzymes operation and muscle as well. Additionally, it also increases the performances of a nervous system and is necessary for blood regulation. Hence, it is very best option to have falsa fruit as your number one sodium’s food source. 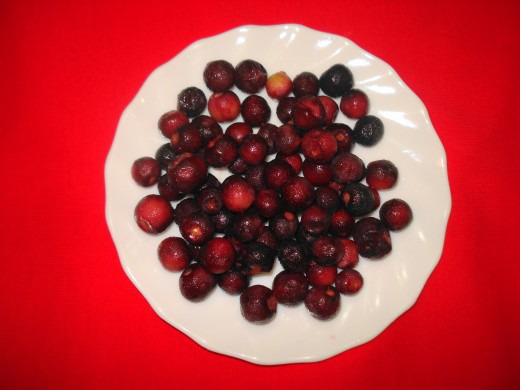 The presence of iron contained in falsa fruit helps to treats anemia. Besides, the lack of this kind of nutrients may lead to certain health problems including the chronic fatigue. The symptoms of having arthritis are including the pain and the limited function of joints. It is also linked to the presence of inflammation. Then, to prevent this disease, you may have to consume falsa fruit as an option. It is quite beneficial and is helpful in treating arthritis effectively. Drinking falsa fruit juice is wonderful to treats the respiratory problems including asthma, bronchitis, colds, and others. For the tips, simply mix falsa fruit with ginger or lemon juice to add the flavor. Therefore, you will have a glass of enjoying and healthy drink at the same time. Build a good muscle by consuming falsa fruit regularly. Due to the presence of potassium and protein, it will encourage the muscle function as well as strengthen the muscle. Research has revealed that ethanolic extract of G. asiatica fruit possesses significant hypoglycemic, antioxidant, and immune-modulatory effects. 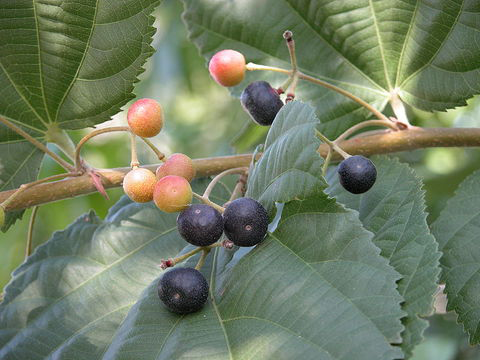 The presence of several bioactive compounds in this plant extract, particularly flavonoids and phenolic acids, might be responsible for these effects. Therefore, the extract should be further examined as a new supplement for the management of diabetes with minimal side effects. As mentioned previously, falsa fruit consists of a good source of protein. As a result, with protein, it helps the body to gain more energy. Then, it is time to say no to the presence of weakness. Due to the presence of calcium in falsa fruit, it is considered quite beneficial to increases the performance of healthy bone. At this point, it strengthens the bone and promotes the bone density. As described before, falsa fruit is having a role in treating the stomachache naturally. Hence, it is known that falsa fruit is also great to treat diarrhea as well. It is also known that falsa fruit leaves help to heal the wounds and eczema. Grind the leaves and apply it on the skin, leave it for a few minutes to let them work. To prevent free radicals, you may have to consume fruits and vegetables which are rich in nutrients contained. Thus, eating the falsa fruit may become one of best options to choose as it contains really great nutrients in it. It is said that Falsa fruit helps to relieve swelling. This makes it beneficial fruit for a healthy heart. A pinch of black pepper and salt mix with 50 milliliters of Falsa juice and drink it. This recipe may help you in swelling, but it is not a substitute for any medicines or doctor advice. So before using it you must consult your doctor. Fiber, presents in falsa fruit is taking part in relieving stomachache. 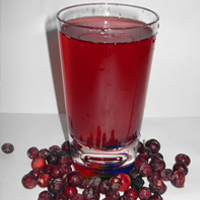 You can have a falsa juice to relieve the pain of stomachache, nausea, and other digestion system problems. Drink the falsa juice daily to prevent the risks of having the stomachache. Body needs anti-inflammation nutrients to prevent certain inflammations including coughs and sore throat. Then, with the great consumption of falsa fruit, it helps you to have a natural anti-inflammation as well. Research shows that falsa fruit is beneficial to prevent the fungal growth. As a result, falsa fruit is great to act as antifungal and antimicrobial to promote the body health. Root bark is used by Santhal tribals for rheumatism. Stem bark is said to be used in refining sugar. Stem bark infusion is used as a demulcent. 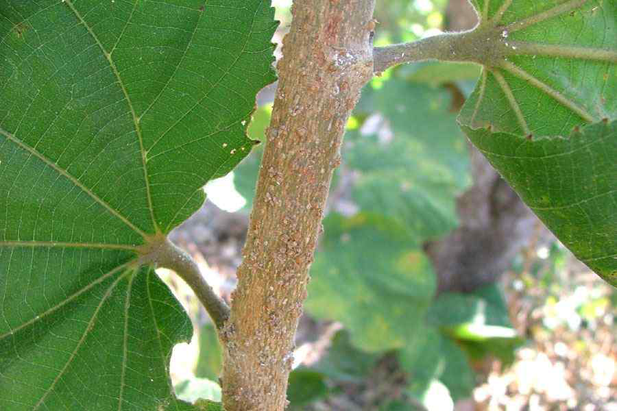 Leaves are used as an application to pustular eruptions. Buds are also prescribed by some physicians. Fruit has been used as astringent, stomachic and cooling agent in traditional folkloric medicines. When unripe, it has been stated to alleviate inflammation and was administered in respiratory, cardiac and blood disorders, as well as in fever. Fruit was also beneficial food throat ailments. 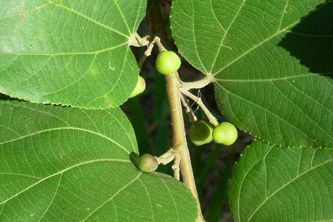 Root bark has been recommended for rheumatism and its infusion used as a demulcent. Leaves were applied on skin eruptions. Seeds of G. asiatica have been used as antifertility agent and were reported to have anti-implantation and abortifacient activities. 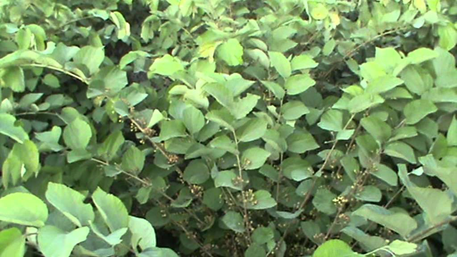 In traditional folkloric medicine in Bangladesh, Grewia asiatica plant is commonly used for gonorrhea by the Garo tribe and local traditional healers in Madhupur and Tangail district. It is also used to treat lack of appetite, typhus, acidity, giddiness, diarrhea, hypertension, stimulant, anorexia. asiatica is also used for gonorrhea and as astringent, demulcent, rheumatism, stomachic and tumor in India. An infusion of the bark is said to treat diarrhea, pain, rheumatism, and arthritis. Falsa leaves are used in traditional medicine to treat urinary tract infections and sexually transmitted diseases. Leaves are said to have a mild antibiotic effect. Soaked overnight and made into a paste, they are said to relieve inflammations of the skin including cuts, burns, boils, eczema, and pustular skin eruptions. Root bark has been shown in research to relieve pain and inflammation, according to a study conducted at Vinayaka Mission’s College of Pharmacy in Salem, Tamil Nadu, India. Falsa leaf and fruit extract may function as anti-cancer agents. Research on mice has shown that the pomace, or solid fruit parts, may prevent the formation of breast, cervical, and blood cancers. Oil produced from the seeds helps in the treatment of reproductive disorders and fertility problems. Falsa removes pimples, acne, and skin dryness and cures anemia. 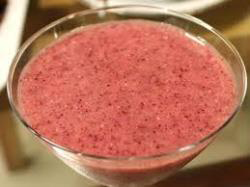 Falsa juice is also good for sunburn victims and those who suffer from a heat stroke. It has a high content of vitamin C which helps in relieving asthma, bronchitis and shortness of breath. It helps in building stamina, less insomnia and depression. 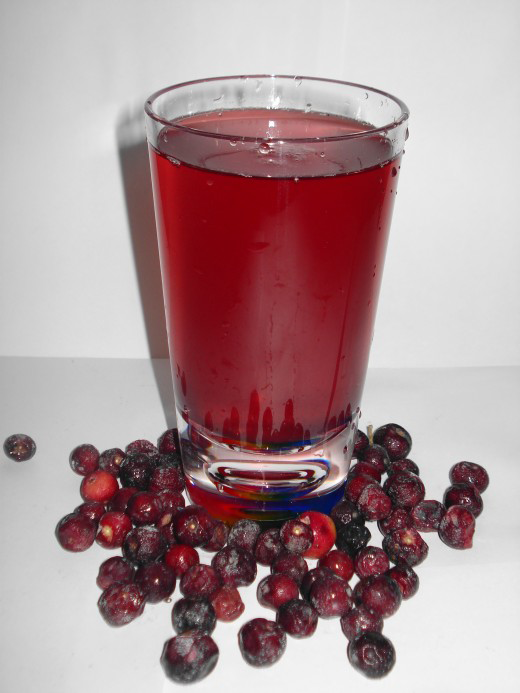 Falsa juice is a great supplement for people with diabetes. 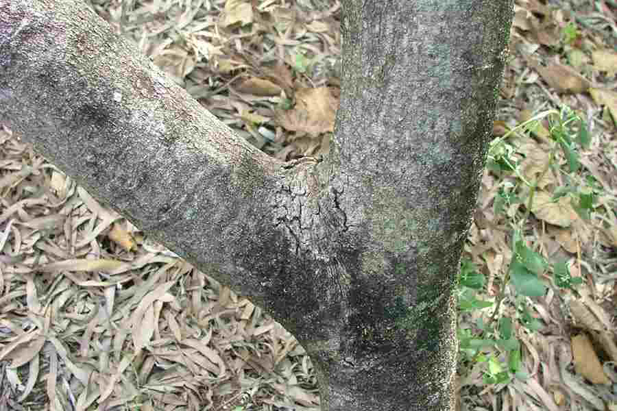 Stem bark is used in sugar refining. 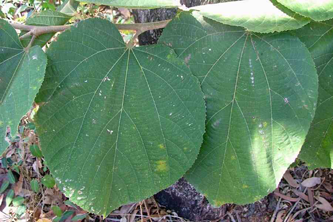 Leaves are applied to the skin for wounds and cuts and to relieve irritation and painful rashes. Stomach pain: For stomach pain, 25 to 30 ml of falsa juice, added to three grams of carom seeds, stirred and warmed, is said to relieve pain. Nausea, vomiting: For nausea, vomiting, and stomach pain, falsa juice combined with a little rose water and sugar is said to provide relief. 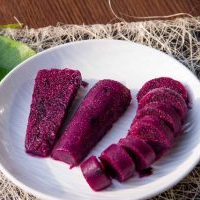 Respiratory troubles: For respiratory troubles and hiccups, warm falsa juice combined with a little ginger juice and rock salt is said to provide relief. Stomach Pain: Roast 3 grams (about 1 tea spoon) carom seeds or “Ajwain”. Add 25 to 30 ml falsa juice (2 table spoons). Stir and warm a bit. Drink to relieve stomach pain. Burning eyes, urine, chest, stomach and sour eructation: Drink falsa juice daily. Weakness of stomach, nausea, vomiting, and stomach pain: Add a little rose water to the juice. Add sugar to taste. Drink daily. Weak Heart: Take 50 ml juice (around ¼ cup). Add a pinch of rock salt and black pepper powder. Mix well. Add sugar to taste, stir well and drink for relief. Brain Weakness: Drink 50ml (around ¼ cup) juice every day. Respiratory Troubles, cold weather troubles and hiccups: Warm a little juice; add in a little ginger juice and rock salt. Dink for relief. Burning during urination: Take 25 grams of falsa, 5 grams of Amla powder, 10 grams of black grapes and 10 grams of dates. Grind all except amla powder. Soak all the ingredients in water at night. In the morning, add 20 grams of sugar. Stir and strain the water. Divide the water into 2 equal parts. Take 1 part in the morning and one in the evening. Ripe fruits are eaten raw or used for making drinks, squash, sherbet or jams. Sherbet or squash is prepared from the fruit pulp by mixing it with sugar and used as an astringent, stomachic and cooling agent. Refreshing summer drink prepared from fruits, called phalsay ka sharbat is available in food-stores and is believed as a cardiac tonic. Wash berries in water. Grind or blend in a grinder or blender. Strain pulp well through a strainer. Add water and sugar. Mix well. Add lemon juice and crushed ice. Stir. Soak it in the water for an hour or so. Add sugar while soaking so that it dissolves during the soaking period only. After an hour rub the berries with your hands to extract pulp. Strain this mixture through a strainer. You will get thick juice. Repeat this process twice or thrice or till the time you are left with seeds only. Pour the juice into the mould and freeze it. In case you do not have mould then you can use an ice tray. Stem bark is said to be used for making ropes. Fresh leaves of plant are used as animal fodder. Bark has been used as a soap substitute in Myanmar. Mucilaginous extract of the bark was found useful in clarifying sugar. Fiber extracted from the bark has been made into rope. Wood has been used for archers’ bows, spear handles, shingles and poles for carrying loads on the shoulders. Stems that have been pruned off served as garden poles and for basket-making. Wood is being used as golf sticks, poles, archery bows, spear handles and singles caused by the strong and elastic form. Fresh leaves act as a fodder for cattle. The yield per plant is also quite low, offering roughly 9-11 kg per tree. Calories from Fat 0.9 K cal.